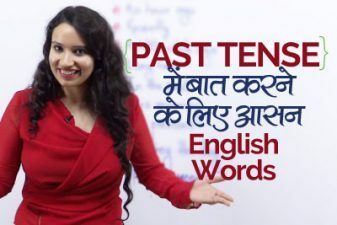 Hello English Learners, Welcome to Learnex, where you learn English through Hindi. In this English speaking practice lesson, you will learn Phrasal Verbs. This English lesson is part 02 of Phrasal verbs. Now what are phrasal verbs, they are a combination of Verbs + preposition. If you want to speak English fluently and confidently you must know phrasal verbs. Phrasal verbs are short phrases and are often used in English communication by people who speak fluent English. These short phrases are very useful to cut short long sentences and add style to your spoken English. If you learn around 1000 phrasal verbs you would become a fluent English speaker, guaranteed! Phrasal Verbs and their meaning with example sentences. Let me try on this white shirt. मुझे यह सफ़ेद शर्ट पहन कर देखनी चईये. I want to try out sizzler today. मुझे आज sizzler चखना हैं. On my way to work, I will touch at Neena’s home. ऑफिस जाते वक़्त में नीना के यहाँ होते हुए आऊंगा. Before I go for the group discussion, let me touch on the topic. ग्रुप डिस्कशन में जाने से पहले में इस विषय पर कुछ उपरी जानकारी पाना चाहता हूँ. We should divide the prize money among ourselves equally. हमे जीती हुई रक्कम आपस में बाट लेनी चहिये. We should divide the prize money between us equally. हमे जीती हुई रक्कम दोनों के बीच बराबर बाट लेनी चहिये. This pizza is too big for me, let’s divide it into 2 parts. यह पिज़्ज़ा बोहोत बड़ा है. इसे बीच में से काटते हैं. Mr. Metha deals in computer stationary. मेहताजी कंप्यूटर स्ततिओनर्य का व्यापार करते हैं. The mother dealt with the children strictly after they misbehaved. शैतानी करने पर माँ बच्चो से सकती से पेश आई. I don’t want to depend on my parents for money. मुझे पैसों के लिए अपने पेरेंट्स पर निर्भर नहीं होना हैं. She is famous for her heart touching singing. वेह मन को छूने वाले गाने, गाने के लिए मशहूर हैं. I am fond of classical music. मुझे शास्त्रीय संगीत पसंद हैं. Please don’t laugh at Sameer, mistakes happen. समीर पर मत हसो, गलतियाँ सबसे होती हैं. I have to reply to my emails by noon. मुझे दोपहर तक सारी ईमेल्स का जवाब देना हैं. The mother shut in the kids in their bedroom when they misbehaved. बतमीज़ी करने पर माँ ने बच्चो को बेद्र्रोम में बंद कर दिया. The manager asked Rohan to shut up with his bad ideas. गलत आईडिया देने पर मैनेजर ने रोहन को चुप कर दिया. Let’s wait for Ram some more time; he should have stuck in traffic. शायद राम ट्रैफिक में फस गया हैं, उसके लिए कुछ और समय रूकते हैं. I was scared when the stranger stared at me. जब उस अजनबी ने मुझे घूरा, में बोहोत दर गई. Why do you want to buy this laptop here, let’s avail of the discount on Amazon. तुम यहाँ से लैपटॉप क्यों खरीद रहे हो, Amazon पर डिस्काउंट चल रहा हैं, उसका लाभ उठाओ. Previous Previous post: 35 different ways to say ‘NO’ in English. 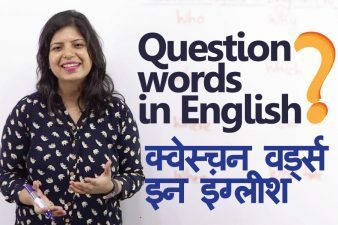 Next Next post: सीखों English Conversation at the Box Office – Speak English Confidently.